Today's theme ... tractor. 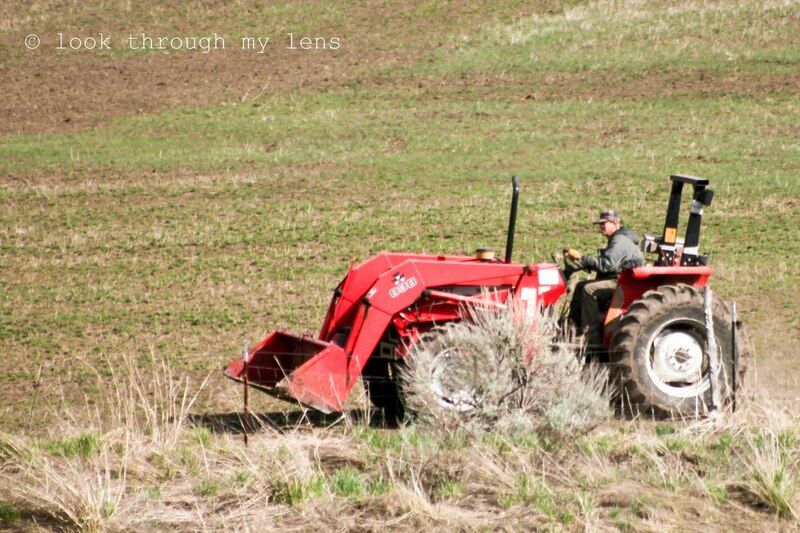 My neighbor plowing his fields. I love the splash of red against the field...nice clarity on that working tractor as well! Nice pop of red against the field of green and brown.